Last November the beautiful Hourglass Ambient Light Palette launched which sold out almost instantly and as it was limited edition a good few were left disappointed. Well cry (I'm kidding, well unless you feel that strongly about make-up!) no more as it is now permanent. Can I get a hell yeah? I'm not going to re-review this as you can read my full review of the Hourglass Ambient Light Palette here - link. What I will say is that I use this more than the individual Hourglass Ambient Light Powders as the palette is more travel friendly not to mention I rather enjoy that I have three of the powders in one place. If you have put off purchasing an Hourglass Ambient Light Powder as you couldn't quite decide which shade to purchase this is the palette for you. If only they'd make a Hourglass Ambient Lighting Blush version (if they do I totally called it and demand royalties for my creative in-put...I kid). 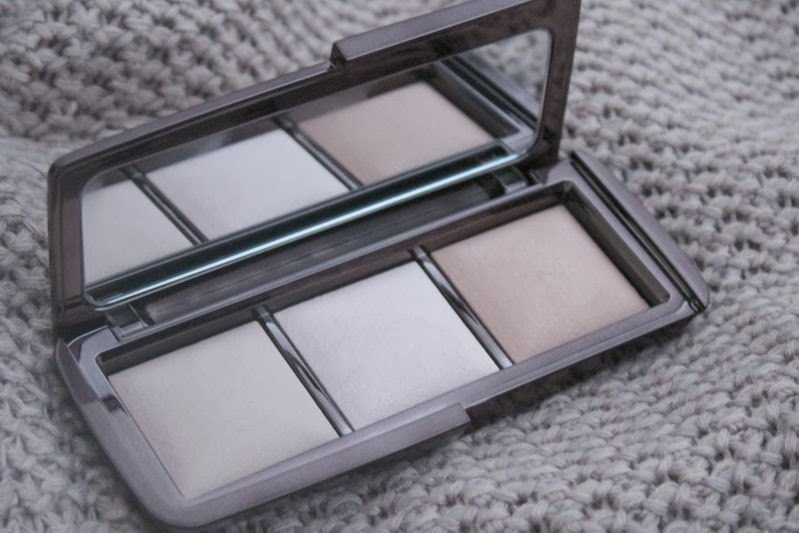 You can find the Hourglass Ambient Light palette for £56 via Space.NK - link.